If you require cost effective, reliable gas, oil or LPG heating and plumbing engineers then look no further. Operating throughout Maidenhead, Windsor, Reading, Bracknell, Henley-on-Thames, and the surrounding areas. We cater to all domestic and business client’s central heating systems, gas services and plumbing requirements. We have the knowledge and expertise needed to ensure that you receive nothing but the best service. Our reputation has been developed through hard work and reliability for plumbing & gas related work. I checked on the Which? website for recommendations for a new boiler installation and from the initial call Nathan was very helpful. 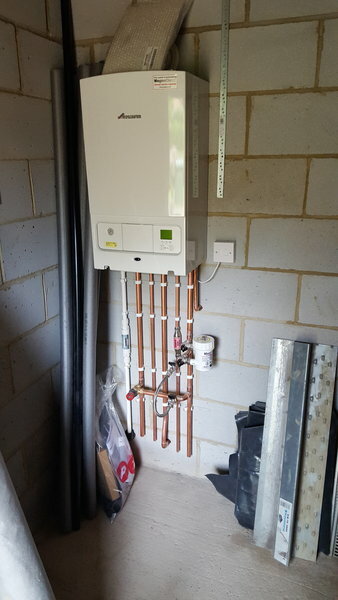 He installed my new combi boiler in November 2016 with Nest thermostat and 8 x TRVs. The boiler works brilliantly. Following the efficient install of my boiler, I also asked Nathan to quote for my total bathroom works in February 2017. 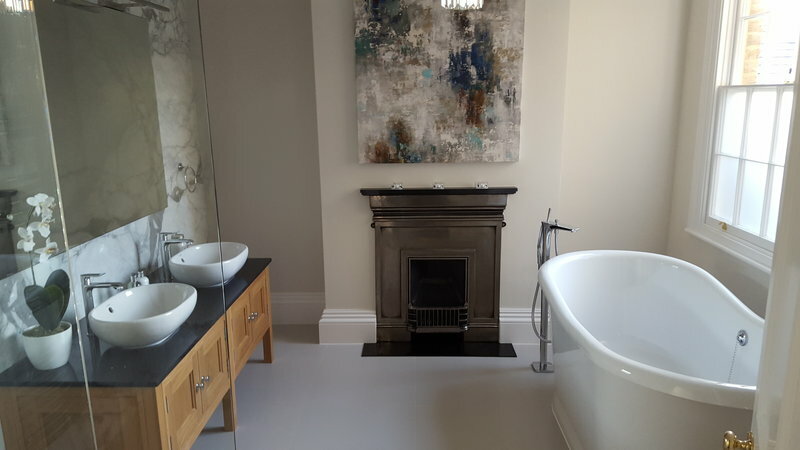 This was a total refit and meant moving my bath into a new position, installing a shower, new flooring, lighting, tiling, painting, new radiator and towel rail. He did a brilliant job. 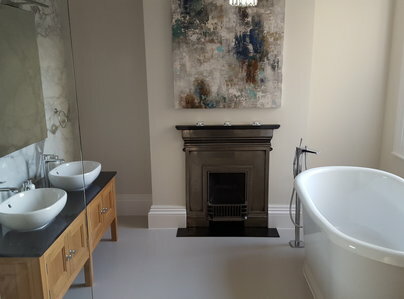 He looked after all aspects of the install and really guided me through the best options for my new bathroom suite, he took his time to recommend what would work best in the space to make sure I was happy. His guidance meant I changed my initial choices to find a much better layout. I'm really happy with my new bathroom. Nathan was great, he's now my go-to-plumber and I would wholeheartedly recommend his services. We employed Nathan to install a new oil tank from scratch. This involved sitting a concrete base for the tank & then connecting to our boiler. He did a fantastic job, keeping us fully up to date with the progress. The final connection to an existing boiler didn't go smoothly but Nathan persevered beyond the call of duty to successfully solve the problem. Had him in to fix my boiler but it was too old. I was so impressed with him, however, that I asked him back to replace it and it was excellent work! I was so impressed, he was always consulting me every step of the way and I can't praise him enough. Have already recommended him to others. Nathan installed a new boiler, radiators and piping and a hot and cold water tank for me in May. I was very happy with the work, there were absolutely no problems. I would 100% recommend him. Nathan fitted a boiler system for me 4 months ago. He was excellent, I was very happy. He came back to check everything was okay after he had finished, so I was very impressed with the service. I would definitely recommend him.